More and more, women are combing profit with purpose to create a better world. Shout out to all the women who are working hard to make the world a better place! 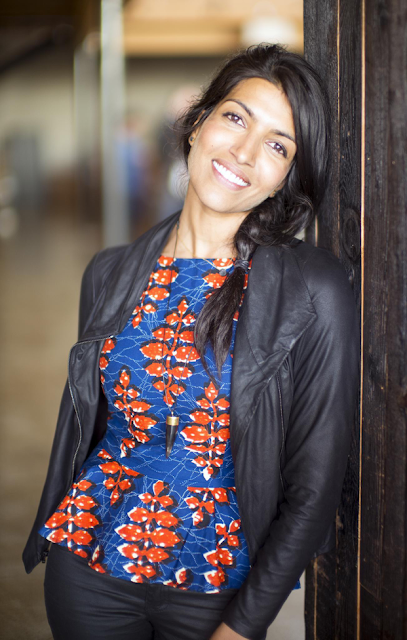 like Leila Janah, who stumbled upon Nilotica and has helped raise the lives of the Uganda women making through her new business LXMI. She wants to combat some of the most serious problems from child malnutrition to human trafficking. 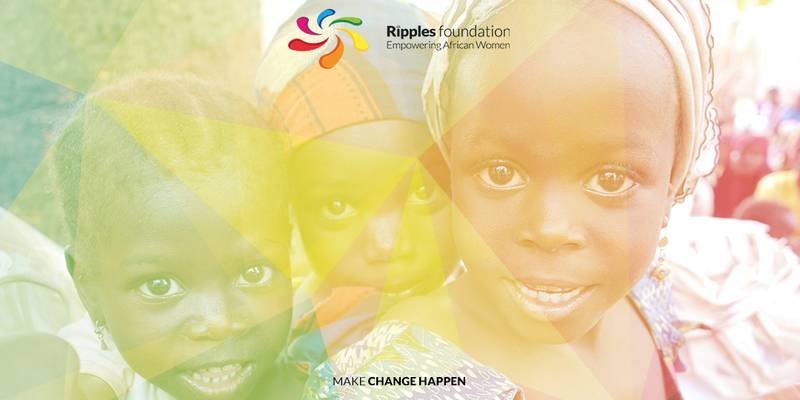 This summer I traveled to Nigeria as part of my internship at Ripples Foundation. I would like to share the lessons that the country and its people have taught me with you. In this way I hope to inspire of you who want to help empower African women. Project visits are hard work, sleep depriving, and stressful. I had thereby been in little contact with Nigerian culture before my departure to Nigeria. I had read up on the different ethnic groups and a little bit about the history of Nigeria. However, there’s a big difference between reading about a certain culture and working in this very same culture. Luckily, Ripples considers it imperative that their interns learn about the culture of the villages in which they reside. This means that most of Ripples’ project visits are arranged around a festival, such as the Durbar festival in Kano or Ogidi Day. Before I arrived at Ogidi, I had already heard about Ogidi day. People in Lagos had been speculating about the amount of visitors that would arrive and what I would think about the festival. I had not been giving any specifics, as I should experience the festival for myself. This made me really excited for the festival and I was dying to know how a Nigerian festival looked like. At last the day of the Ogidi festival! I had left for the festival quite early, to experience as much as possible. I had unfortunately not taken in account the concept of Ogidi time. This is a concept used to describe the differing importance given to time by the locals of Ogidi. It’s like an inside joke, where if a person arrives late people would comment that he or she was employing the concept of “Ogidi time”. Obviously, Ogidi Day is not Ogidi Day if it does not employ a bit of “Ogidi time”. This meant that it took another hour for the actual day to start. It did not really matter as there were local refreshments as well. Happily eating away, I watched the colorful clothes of the artists and festival goers passing by. Nigerian festivals are enormous social events. Everyone in town is at the festival site, bringing their families from all over the country with them. Nigeria is home to more than 250 different ethnic groups that are dispersed all over the country. Festivals are a perfect opportunity to exchange ideas and cultural practices. It’s a great way to connect people, keep each group’s traditions alive and remembered. During the festival I saw performances from Yoruba people, Ijaw people, and Idoma people, who had all travelled towards this small village in Kogi State. It was amazing to be part of such a celebration of cultural diversity. Nigerian festivals are also a get together of local people. Old friends and neighbours alike, meet each other on the festival grounds. During our stay, Ogidi transformed from a quiet and peaceful village into a booming town. Every day I saw new people arrive. The festival is the opportunity for all to meet their distant friends and relatives. I was thinking about all of this while people slowly started seeping in. Before I knew it the Oba (Ruler/King) had arrived and the festival was ready to start. Before a group of artists performs their routine, they pay a homage to the Oba. This is a sign of respect and one among many in the Nigerian culture, where there is still a high regard for the rulers and elderly. After the homenage to the Oba, the artists were ready to perform and music started erupting from everywhere. In Nigeria they really know how to create a party! A group usually builds their own festivities into another party, which had already erupted during another party. This is just one way in which Nigerian people show they partying spirit. All around me people were dancing, laughing, clapping, eating, and singing different tunes. New groups of people arrived almost every minute to contribute to the festival atmosphere in their own way. And I? I was just enjoying everyone’s merriment.